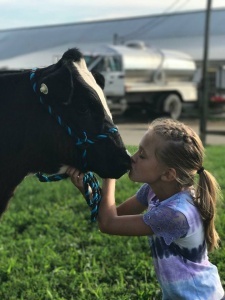 When the Osofsky’s began farming 80 years ago they were considered progressive and innovative, because of their commitment to improving the Holstein breed through advanced genetics; breeding some of the most prized Holstein cows in the country. At the time they accepted the fact that they were stewards of the land, responsible for caring and preserving it. 80 years later they are committed to the same ideals. In today’s world of corporate mega farms, Ronnybrook is still committed to producing dairy products the way they were produced in the past, slow and easy. They don’t believe that big is necessarily better. When some describe their farming techniques as outdated; their response has been that they are “old fashioned” and deeply proud of it. The farming practices at Ronnybrook have been described by the New York Times as beyond organic. Organic farming does not address how cows are treated. It is only concerned with what a cow eats. At Ronnybrook, the treatment of their cows is as important as what they may eat. 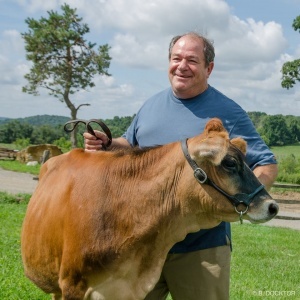 Ronnybrook’s “Mission Statement” is to provide a local source of fresh minimally processed all natural dairy products wrapped up in an overriding commitment to the humane treatment of animals. Their products are consistently recognized as “the best” in numerous dairy categories. From the “Best Dairy” in the Hudson Valley by Hudson Valley Magazine to the “Best Egg Nog” as awarded by The Huffington Post and “The Best Thing I Ever I Ate” on the Food Network. Ronnybrook’s Cinnamon Toast butter was voted "most scrumptious" by Eataly NYC and first place in the World Dairy Expo. In a taste test conducted by Serious Eats, sampling all locally sourced milk in the New York metropolitan area, Ronnybrook finished first... Again. Ronnybrook welcomes visitors to see how their cows are cared for and to experience the green rolling pasture of the Hudson Valley. Visitors can tour the barn where "the ladies" spend much of their time during the cold northeast winter months. While visiting, guests will then cross the unpaved town road to watch as they bottle the milk, make butter, or culture their artisan yogurts. 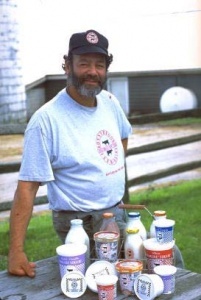 Ronnybrook has been the Hudson Valley’s local dairy since.....forever.